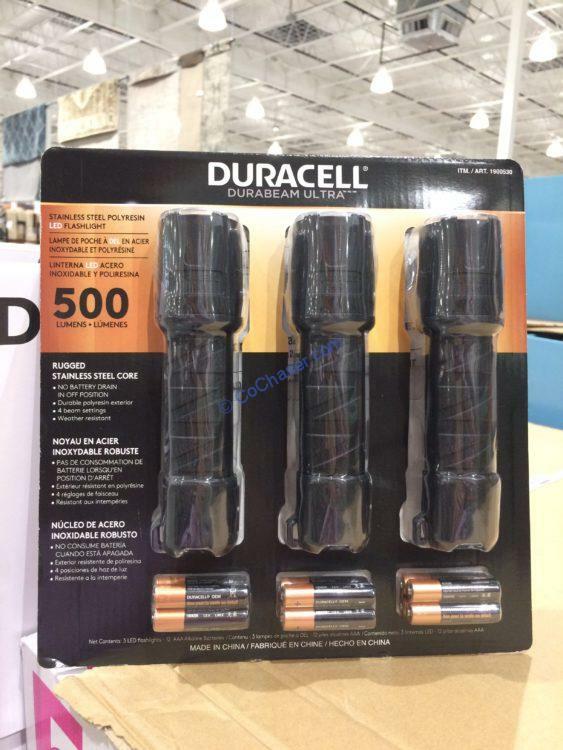 Costco cuts $5 off on Duracell 500 Lumen LED Flashlight, 3-pack now, dropping the price to $19.99. This Duracell 500 Lumen LED Flashlight is compact, rugged and powerful. It makes the perfect gift and deal for home, car, outdoors and emergencies. Each flashlight has a knurled grip for easy handling and is small enough to fit in a purse, pocket or glove box. These high intensity LED flashlights are capable of 500 lumens output. The flashlights also have a power switch that kills battery “drainage” when placed in the off position to provide longer battery life.